It’s never going to be like this forever – moving, jumping and being everywhere without support. As one becomes aged, mobility also becomes something to wonder about. Sadly, mobility limitation isn’t only accompanied by old age – people can also suffer this limitation as a result of accidents or illness also. However, whatever the reason is, getting around won’t come so easily over time. Why Do People Need a Lift Chair Recliner? 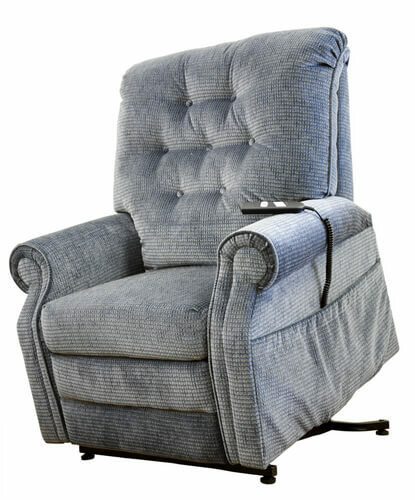 A lift chair recliner is often needed by individuals who have issues with moving around without assistance. Medical conditions like arthritis, ALS, Parkinson’s disease and many other muscular disorders often require patients to make use of the lift chair recliner. Also, aged individuals living alone at home with weak muscle strength have issues supporting their weight or pulling themselves to an upright position without anyone’s help. So, they need this mobility device. Furthermore, fragile seniors with certain injuries like a sprain or broken bone can bring about restricted locomotion and are continuously in need of help to get around. Such injuries or seniors who require surgery for a hip or knee replacement will find the chairlift handy. So, what are the problems faced by people with limited mobility? They find it hard to move from a seated position to a standing one. It becomes a challenge when they try to make this position change since their body can’t handle the pressure. Another scary problem is the fact that they can accidentally fall while attempting to stand without aid, eventually leading to a dire situation. At that point, when making a shift from a seated position to an upright position without aid becomes challenging and risky. Thus, a lift chair recliner can come in handy. A lift chair recliner bears a resemblance to a chair but differs as it features a powerful lifting mechanism – it lifts up the whole unit right from its base. This lifting mechanism helps the individual switch swiftly to an upright position. So, this device allows people to regain their independence. Now, moving around becomes so easy and less risky. Although they may perform the same functions, they are capable of handling the different weight. For instance, some lift chair recliners can handle 450 pounds, while others can cope with up to 700 pounds. Will Medicare Cover a Lift Chair Recliner? Yes, Medicare Part B sees lift chair recliners as durable medical equipment and this means it covers them. However, they are only responsible for about 80% of the expenses, and you will have to be accountable for the other 20%. Do you wonder if your plan helps you with a lift chair expense? Does Blue Cross cover lift chairs? These are very common questions, and the best thing to do is contact an agent from BGA Insurance Group. This is a free service to help ensure that you have the best plan which saves you the most money.